A home near a wide range of amenities. In summer 2015, The Wellington-Eddy (W/E) condos complex will welcome its first tenants. 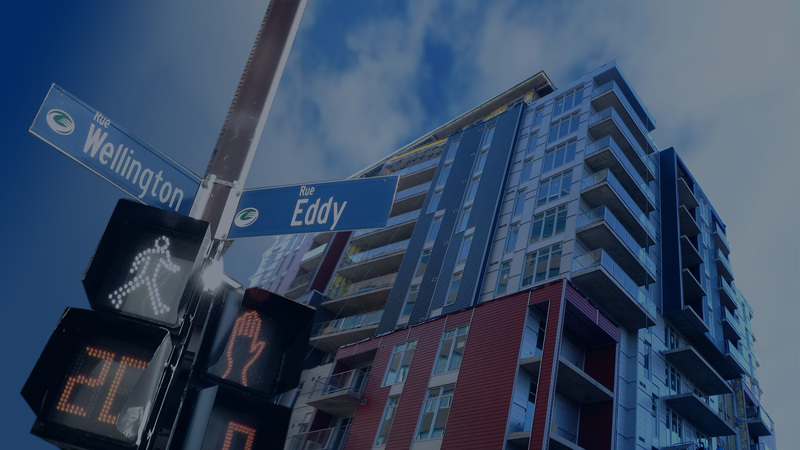 Located in the heart of downtown Gatineau (Hull sector) the first phase of the WE is a 12-storey project of 137 contemporary units. More refined and stylish than the apartment life, W/E offers rental condos of 675-1270 square feet directly located in downtown Gatineau. Dial 819 771-LEWE (5393) for more information. 15-second to 5-minute walk to your workplace.